Last Friday, Devon singer/songwriter Ben Howard released his latest album, ‘From Noonday Dream’. We previously previewed the new release with Carrie’s review of the LP’s first single, ‘A Boat to an Island on the Wall’. You can read her review of it through here. To celebrate the album’s drop, Howard has unveiled a beautiful video – well, actually, more like a mini-film – for ‘Nica Libres at Dusk’, which he filmed and directed with Australian cinematographer Allan Wilson in the evocative environment of the Atlas Mountains. Watch it below. For all of our past coverage on Ben Howard here on TGTF, follow this link. ‘I Forget Where We Were’ is the title track on Ben Howard‘s stunning recent LP, released in back in October, reviewed here. The starkly metaphorical new video, a directorial debut for Howard, features a slightly-shortened version of the track and plays off of the song’s abstractly poetic lyrics, visually capturing the balance between romance and realism in just the way Howard’s music does on the album. Singer/songwriter Ben Howard has just announced a set of arena dates for next spring, following on his already sold out December 2014 tour. Howard’s sophomore LP ‘I Forget Where We Were’ debuted at number 1 in the UK charts after its release on the 20th of October. Below the tour date listing, you can listen to the official audio for album track ‘Conrad’. Presale for the following shows will begin tomorrow, Wednesday the 29th of October, at 9 AM, with general sale starting at 9 AM on Friday, the 31st of October. When an artist’s debut album garners a Mercury Prize nomination and two Brit Awards, following it up with a second full release must seem a monumental proposition. Undaunted by his early success with 2011’s ‘Every Kingdom’, Ben Howard has succeeded in not only fulfilling but exceeding the expectations he set forth for himself with his new release, ‘I Forget Where We Were’. Where ‘Every Kingdom’ alternated between quiet introspection and uptempo folk-pop, ‘I Forget Where We Were’ takes a darker, more dramatic turn, replacing carefully crafted hooks with broader instrumental sections and an extended sonic palette. Produced once again by drummer Chris Bond, ‘I Forget Where We Were’ is more pared back than the lengthy ‘Every Kingdom’, but the individual songs on the new album are characteristically expansive, with 7 of the 10 tracks exceeding the 5-minute mark. Most notable among those is the epic ‘End of the Affair’. Though it appears late in the overall sequence, the early single release of this song set the tone for the album, swapping Howard’s usual warm acoustic instrumental setting for one based in the echoes of electric guitars. Which is not to say that the song lacks emotional connection; indeed Howard’s rasping vocals drip with the sad bitterness of his lyrics. Each repeat of the chorus – “living without her / living at all / seems to slow me down / living forever / hell, I don’t know / do I care, do I care / the thunder’s rumbled sound” – is more anguished building into the frenetic, breathtaking coda. The evocatively reverberant electric guitar riff of opening track ‘Small Things’ introduces the new sound without preface, offsetting the ominous vocal line of the chorus, “has the world gone mad or is it me? / all these small things, they gather round me”. The deep angst in the closing instrumental section segues flawlessly into the driving beat of second track ‘Rivers in Your Mouth’. Title track and recent single ‘I Forget Where We Were’ is more rock than folk with its wailing guitars and crashing cymbals. The electric guitar solo in the bridge section perfectly illustrates the growing dissonance and despair of a relationship starting to unravel. Among the howling guitars and propulsive drums, Howard weaves in hints of his signature acoustic folk sound. The rhythmic finger-picked guitar figure of ‘In Dreams’ is both ethereal and portentously energetic, matched with a moaning hum in the backing vocals and and a bowed string countermelody. ‘She Treats Me Well’ is a soulful acoustic ballad whose slight blues inflection grows stronger as its equally blues-tinged lyrics play out. Amazingly, the songs on ‘I Forget Where We Were’ maintain their high level of intensity and focus into the second half of the album. ‘Evergreen’ pinpoints the distant wintery chill that characterises most of the record, the lyric “there in the lights you said something, but I can’t remember what” capturing the essence of memory that is fading, yet still haunting in its emotion. In standout track ‘Conrad’, Howard makes lyrical reference to Polish-English author Joseph Conrad, comparing his former lover to the breached ship in Conrad’s ‘Lord Jim’ and his protagonist to the novel’s title character. Closing track ‘All is Now Harmed’ continues the theme of disillusionment, but returns to a more sensual musicality, building to a soaring instrumental dynamic with the repeated chorus “what is in your nature looms inside your blood / hold me in harm’s wake, baby, all is now harmed”. Thematically, ‘I Forget Where We Were’ combines restrained intellect with a sense of slow-burning emotion just below the surface. It’s not as heart-on-sleeve as ‘Every Kingdom’, but musically, it has more edge, more bite. Howard has refined his songwriting to the point where every sonic choice has definite musical or emotional intent, and the concentrated tracklisting allows each song to deliver its full emotional impact. It’s rare to hear a sophomore album more powerful than its hit predecessor debut, especially one as critically acclaimed as ‘Every Kingdom’, but Howard has truly outdone himself here. 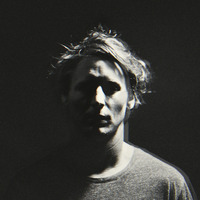 ‘I Forget Where We Were’ by Ben Howard is out now on Universal/Island Records. Howard will embark on a sold out tour of the UK and Ireland in December.